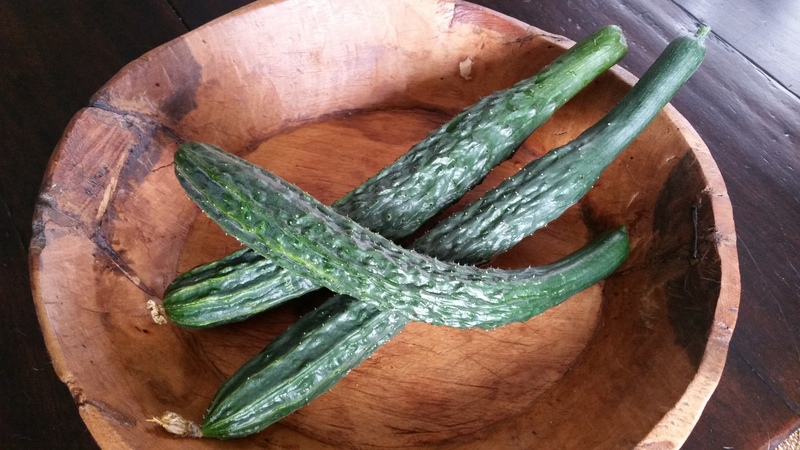 Suyo Long, to other cucumbers. The Suyo Long cucumber is one of my favorites to grow. They are easy to care for and seem to do well in our micro-climate here on the Mesa. This wonderful Chinese variety produces fruits 10″-16″ long. The fruits are spiny when young, and become smoother and less ribbed at maturity. The cucumbers tend to curl on one end, which makes for a unique looking fruit. I trellis mine, and for the most part they grow straight. For those of you who purchased Suyo seedlings from me this year, I hope you are enjoying them! For those who did not, and would like to purchase the actual cucumber, keep an eye on my blog or Facebook for updated lists of vegetables for sale. I will leave you with a simple recipe for the upcoming warm summer evenings. In a medium bowl, mix together the soy sauce, rice wine vinegar, sugar, oils and chili slices. Mix in the cucumbers, chill before serving. I’ve never had any issues with wood lice until now. They seem to love one of my raised beds due to the excessive amount of organic matter in the soil. In this case, Google was my friend. A tuna can with a bit of beer, and the edge of the can at soil level really does the trick! We were blessed with some much needed rain in Santa Barbara yesterday. I guess I hadn’t really been paying attention to the weather report as much as I do during our “storm season”, it sure took me by surprise! I just checked the rain gauge, and in the past 24 hours we received 0.9 inches at the farm. The rain barrels are full once again, the plants look happy, everything is rinsed clean, and one of my raised beds sunk into a gopher-hole-mud-trap. 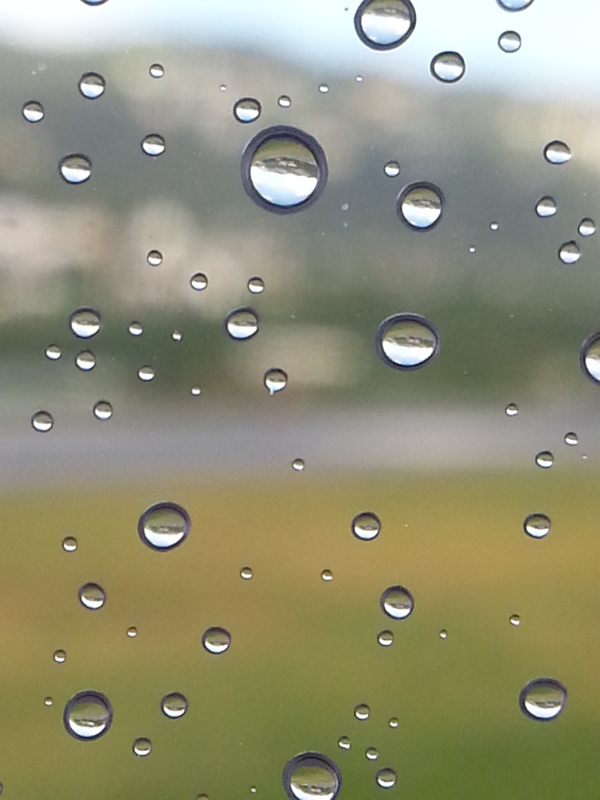 Yeah, I love the rain! Blanca, the second hurricane of the season in the Eastern Pacific, was downgraded to a tropical storm before it hit Puerto Cortes, Mexico on Monday. It is the earliest tropical cyclone to make landfall on record in Baja California. This amount of rain certainly is unique for Southern California this time of year. I sure do hope there is more of this exciting summer weather to come! The Seed Savers Exchange, known to many of you as the leader in the heirloom seed movement, is celebrating its 40th anniversary in 2015! The SSE was founded in 1975, and is a non-profit organization dedicated to protecting and sharing heirloom and open-pollinated plant varieties. SSE is looking ahead to a year full of progress and celebration, while continuing to grow and maintain a collection of more than 20,000 seed and plant varieties at their Iowa headquarters. 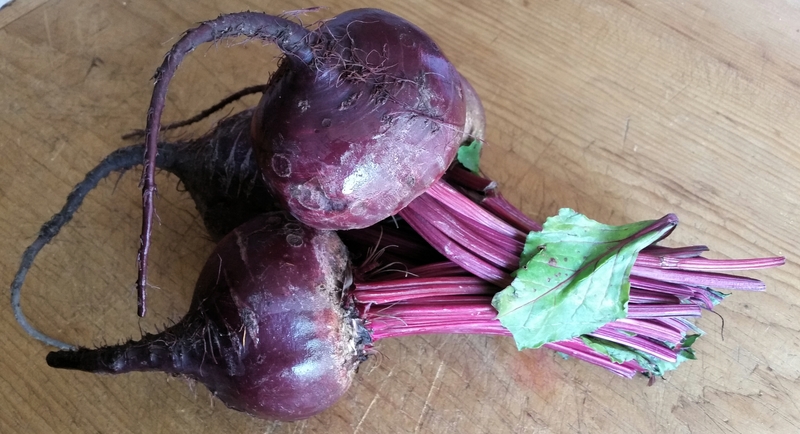 Beets are probably the most loved vegetable in our family, especially when roasted. The earthy sweetness is so unique, there is nothing quite like it. Beets taste like dirt, and that’s what I love about them. Last night I was able to acquire some fine beets from our downtown farmers market. Today they will be roasted! First, I cut the root and the stems off, close to the actual beet. I then boil them in salted water for about 45 mins or until tender. Let the beets cool a bit before you attempt to peel them. After they’ve been peeled, you can cut them into chunks or slices. Don’t slice them too thin, they will turn to mush. I slice mine about 3/4″ thick. Place beets into a roasting pan, along with other veggies if desired. Sprinkle olive oil and roast at 400 degrees for about 20 minutes, or until the beets start caramelizing on the bottom. Simple and delicious! The table is filled with tomato seedlings once again. Today we have Arkansas Traveler, Brandywine, Sweet 100’s, and Lemon Boy. This is a self-serve operation where you just drop the money in the box on the table. They are $2 each. Mornings are usually pretty hectic around here with all of the creatures demanding food and attention. The cats are up at 5:30, the dogs around 6:00. The chickens pretty much run dawn ’til dusk along with the wild birds. Chickens are noisy creatures, and this flock seems to be especially vocal. Any wild birds trying to steal their food will be squawked at relentlessly. Recently the noise level was getting a bit out of hand for 7:00 AM. I went to investigate and found many house finches and a few scrub jays bombarding the run, stealing the hen scratch I had put out for the chooks. The girls despise this, and were protesting accordingly. I tried to shoo the wild birds away, a failed attempt. It didn’t phase them and they returned immediately. Contemplating my options, I walked back inside to talk to my fiancée. She had the brilliant idea of removing the old plastic owl we’ve kept in a cage in the patio for years, and placing it in the chicken run. I snatched the owl from it’s cage and ran back behind the garage to scare those robbers away! The only thing I scared was the chickens. In fact, I scared them so bad, they ran around the other side of the garage and didn’t come out. I left the owl on the roof of the coop, thinking they’d get used to it. Nope, that was not the case. A half hour later the chickens were still behind the garage and the finches were having a garden party. I removed the owl, and he now resides next to my seedlings to keep the birds away. 60% of the time, it works every time. Pumpkin seed butter doesn't get nearly enough attention! 💚 I love the stuff! 🥝🍌Breakfast smoothie (banana, almond milk, pumpkin seed butter) topped with kiwi, granola, pumpkin seeds, chia seeds and an extra spoonful of pumpkin seed butter.😋 Garnished with Flora Vista Farms Sunset Sorrel and Sunset Sorrel Flower. Our Toy Choy in bloom. There are so many options when it comes to edible flowers. So many veggies, especially brassicas, have delicious and beautiful flowers you can eat! Feels like Spring! Get healthy and stop by @mesaproduce and pick up your fresh pea tendrils! Just delivered! Cookies? Cakes? Cocktails? Grazing boards? We've got the edible flowers to make your events and special creations even better! Contact us for more info! Today I decided to make Cast Iron Lamb Loin Chops with Herb and Cognac Butter. 🔪 A perfect rainy-day meal. 🌧🍽👨‍🌾 Check out our blog at floravistafarms.com for the recipe! Red Cabbage Microgreens not only look beautiful on a plate, they are also packed with nutrients and are a great way to improve your cardiovascular health. 💚😍 Red cabbage micros are said to lower cholesterol levels because they contain a high amount of polyphenols and glucosinolates. Healthy and delicious! Available from Flora Vista Farms.